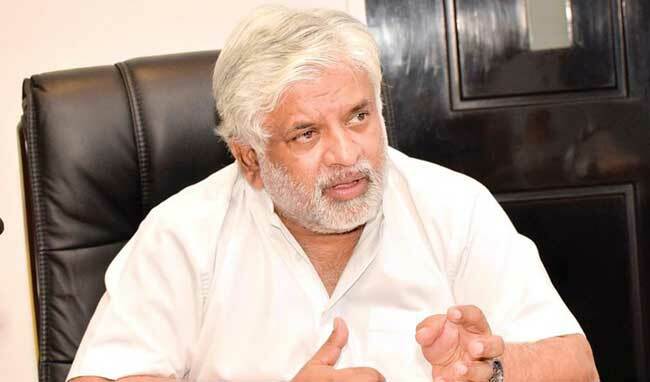 Minister of Petroleum Resources Development Arjuna Ranatunga say that the unused oil tanks in the Trincomalee Oil Tank Complex will be sold off. Affirming that it is not his principle to get into agreements that are harmful for the country, the Minister said that the relevant oil tanks will only be developed with the assistance of investors. He made these comments today (17), at a press conference held in the ministry auditorium to address the allegations regarding the Trincomalee Oil Tank Complex. Minister Ranatunga said that all tanks in the Trincomalee Oil Tank Complex had been assigned to the Indian Oil Company (IOC) in 2003. He is currently trying to get back at least a portion of those tanks back to Sri Lanka, he stated. “In 2003, the Sri Lankan government had signed an agreement with the IOC for the oil tanks to be leased. Another condition is included in the agreement that a financial contract should be signed as well. However, it had not happened properly. I will not disclose more information on this due to an ongoing court case. However, when I first came into this Ministry these oil tanks were used by the IOC. That company currently uses about 15 of those oil tanks. Other oil tanks have been decaying these past 18 years. No one had done anything to develop those. Later I decided to present a Cabinet paper regarding that. Land which the Trincomalee Oil Tank Complex is located in belongs to the government. There are 100 oil tanks in it. Accordingly, through the Cabinet paper, we have initially requested the government to go into a new agreement while retaining the ownership of the land. Secondly, to allow the IOC to continue using the 15 oil tanks they have been using. Thirdly, we have asked to develop the remaining 85 oil tanks through a company jointly formed by the Ceylon Petroleum Corporation (CPC) and IOC. In the Cabinet paper I have also requested to assign 16 of those developed 85 tanks to the CPC. Through this, we expect to engage in the business of providing fuel for ships. Additionally, we hope to establish a program to distribute oil in the North and East areas as it costs us a hefty amount to transport oil from Colombo to those areas. We can save a great amount of money if we distribute oil these areas from Trincomalee itself. Also, the oil tanks will be given to the joint company only for a certain period of time. The time period will be decided by the Cabinet, not me”, stated Minister Ranatunga.